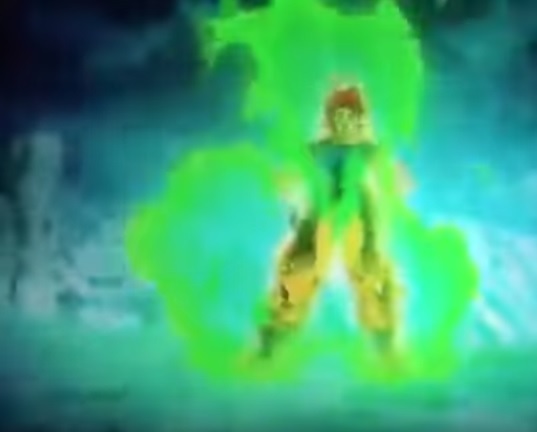 In Dragon Ball Super Broly, both Goku and Vegeta displayed a green aura for a couple of seconds. Vegeta did it when he switched from super saiyan to super saiyan god, and Goku did it when he switched from super saiyan god to super saiyan blue (Goku also displayed a white mastered ultra instinct aura for a couple of seconds too). What does this mean? What's Goku's and Vegeta's green aura in Dragon Ball Super Broly? There are a lot of fan theories claiming that Vegeta's green hair transformation was possibly foreshadowing a new form as we also see Goku display a transformation similar to Mastered Ultra Instinct while transforming to Super Saiyan Blue. However, there aren't any statements or actual facts from the writers, Toriyama or anyone related to the movie. Hence, I think it is fair to assume that these are just animation choices from the animators to simply make the transformation sequences more dramatic. Evidence to support this is Goku's transformation to Super Saiyan Blue. We have seen Goku effortlessly tap into the form so many times. However, he has a very dramatic transformation sequence when he taps into Super Saiyan Blue to fight Broly. Note: This is my personal opinion and it might not necessarily be true. I believe the animations were done on purpose to indicate some form of similarity in the Super Saiyan transformations between Goku/ Vegeta and Broly, mainly for the new fans who are unaware of the franchise. I believe based on what I seen from the movie. While Goku was in super saiyan god, and fighting with Broly his eyes blanked out ( turning white) same as broly’s final form. So that would bring a new transformation for both Vegeta and Goku. The only differences will be Goku transformation will be stronger for the simple fact of his base form and his power-ups, they’ll mostly be similar transformations. I believe it was the choice of color for some of the scenes, such as Goku’s transformation into Super Saiyan Blue, some of the colors may have mixed to make green. Vegeta’s hair could have been a color choice by the people behind the movie. Regarding Mastered Ultra Instinct, I think we actually saw it. Goku May have triggered it in complete accident, due to the fact he was almost just beat to death and was desperately trying to reach Super Saiyan Blue. He may have broke his shell like in the TOP and tapped into Ultra Instinct for a few moments. 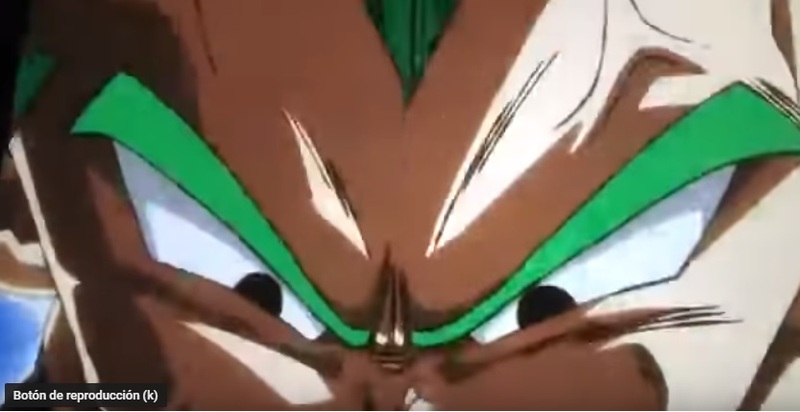 I think that that just how Broly has a state in which his aura his eyes became green. Although he does not goes to ssj. His father had said that he had reached the state in which he uses the power of Ozaru even in his normal form. Goku and Vegeta may had reached the state for few seconds while fighting Broly. This is only a theory which is not mine, a Youtuber named Negus Sayain uploaded a video in which he said this theory. 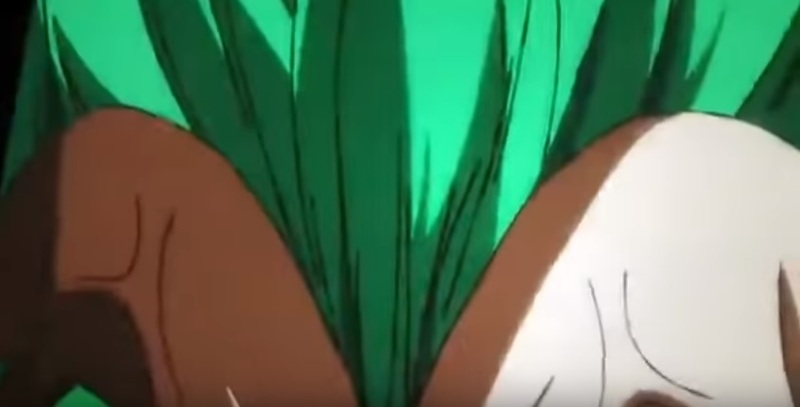 Just an animation choice, a call back the original Broly film where there were scenes where character had different hair color. Don't read to much into it.